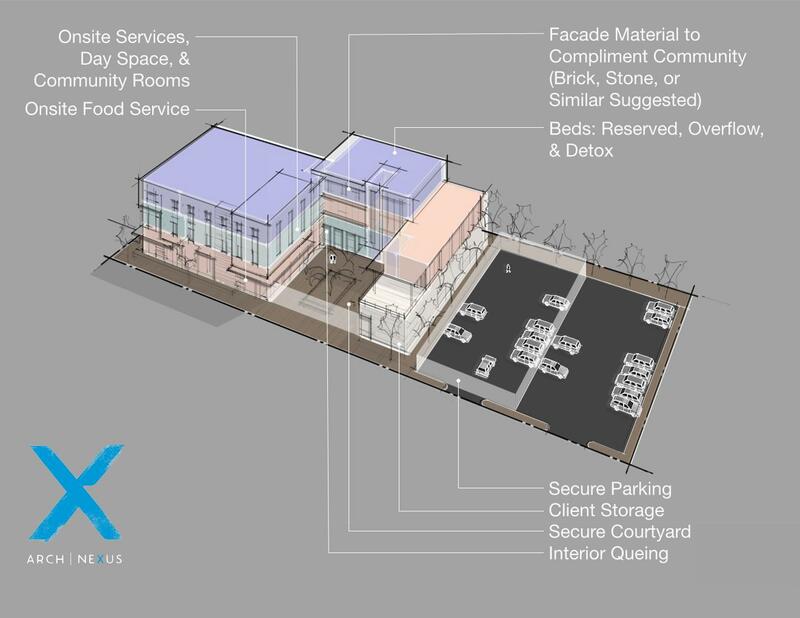 Arch Nexus is proud to be involved in Salt Lake City’s plan to divert the homeless population from the streets to several new shelters which will feature a safer and more effective environment for the homeless to receive emergency housing, case management, and other needed services. 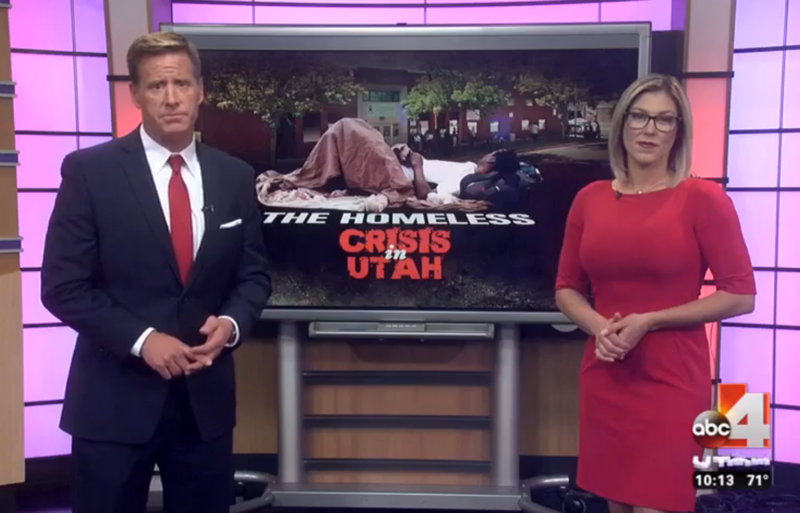 On, October 27th, ABC4Utah reported that the current situation for Utah’s homeless is grim, with widespread substance abuse and even violence occurring in shelters. 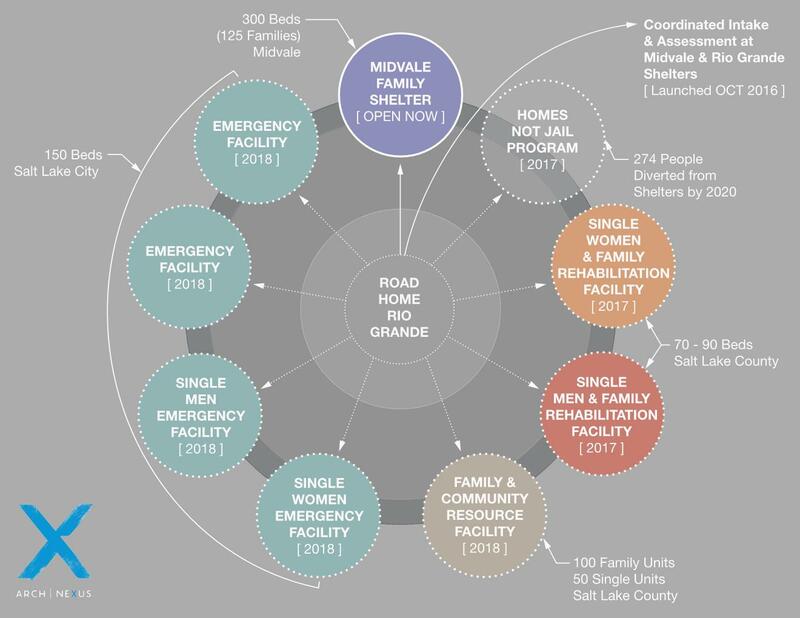 While there is concern that the new shelters are going to repeat other, less successful programs, Salt Lake City is being vigilant in efforts to understand and create programs and resource centers where the homeless are given the best chance to get back on their feet. To watch the ABC4Utah report, please click here. In partnership with The Nature Conservancy and Utah’s Division of Wildlife Resources, Arch Nexus is enthusiastically participating in the design and creation of a bat barn on the Great Salt Lake’s Shorelands Preserve area. There are several groups of participants within the firm, each of which will submit their own unique design for selection by a jury-style panel. This bat barn will be designed to house thousands of bats, serving as a home for bats currently living in abandoned buildings as well as migratory bats. The design will also include room for and access to monitoring equipment, where several different species of bats will be studied. After about a year of working on renovations and exhibit updates Arch Nexus was pleased to see the Clark Planetarium Grand Re-Opening this weekend. 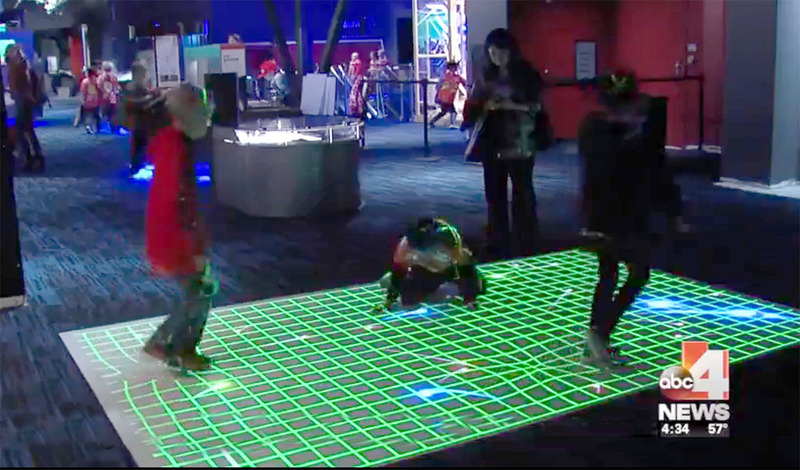 All three floors of the planetarium are being used for “interactive, inquiry-based learning experiences,” as stated by planetarium officials. Several new exhibits made their debut, while updated finishes and a fresh approach to interactive portions of the Planetarium were well received by the public. Additional new exhibits are expected to open throughout the rest of the year. The Clark Planetarium harbors an experience where visitors can be educated and inspired about space and science with a series of educational exhibits, the Orbital ATK IMAX Theatre, and the Hansen Dome Theatre. To learn more about the Re-Opening please check out the ABC4 news story here. For more information about shows and exhibits at the planetarium please visit the Clark Planetarium official website. Arch Nexus will be hosting a hard hat tour for the Urban Land Institute (ULI) Young Leaders Group of the Arch | Nexus SAC Building, the aspiring Living Building Challenge office which is now under construction on Historic R Street in Sacramento. Arch Nexus will be hosting a hard hat tour for the Urban Land Institute (ULI) Young Leaders Group of the Arch | Nexus SAC Building, the aspiring Living Building Challenge office which is now under construction on Historic R Street in Sacramento. 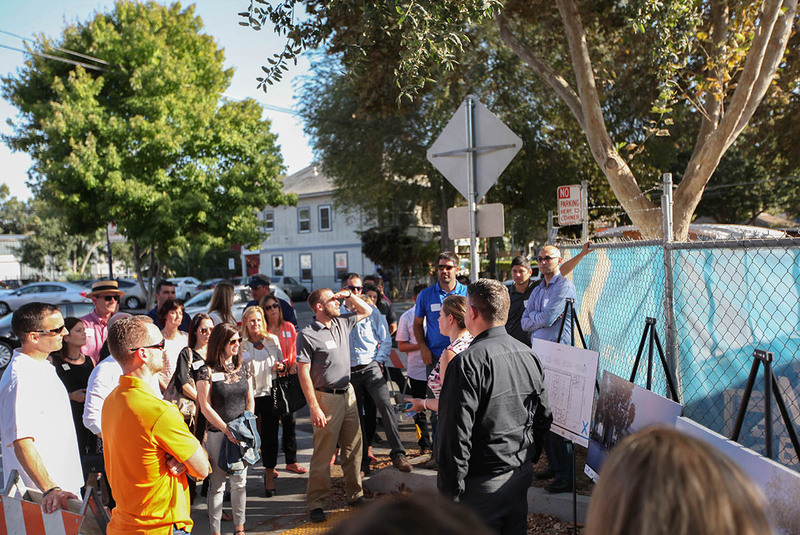 The tour, led by architect Jeff Davis, will cover how the regenerative urban infill project challenges the boundaries of sustainability and connects into culture of the creative R Street. Please visit ULI’s event page for more details on making tour reservations. 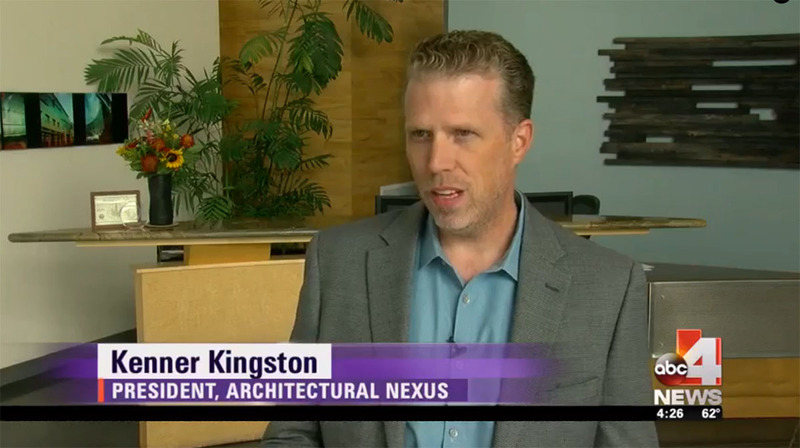 On October 13th Arch Nexus President Kenner Kingston presented at the Getting to Zero National Forum. 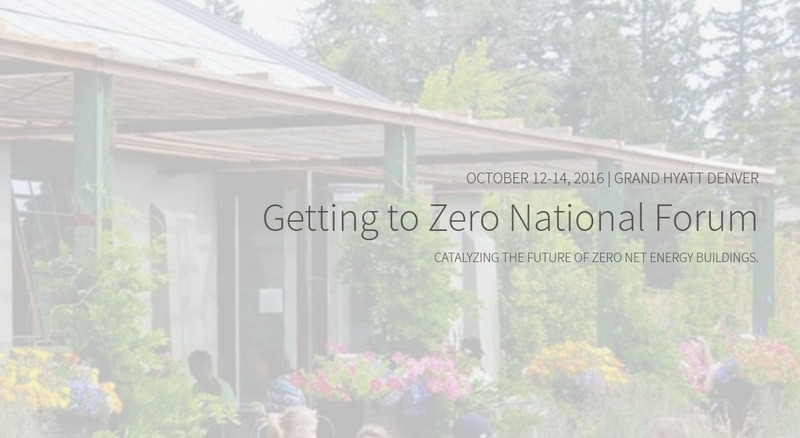 Hundreds of leading policymakers from throughout the United States gather with design professionals, program managers, building owners, and others to share and discuss Zero Net Energy (ZNE) buildings. ZNE buildings are designed to consume only as much energy as is produced onsite, making them significant for environmental health and creating a dramatic reduction in a building’s operating costs. 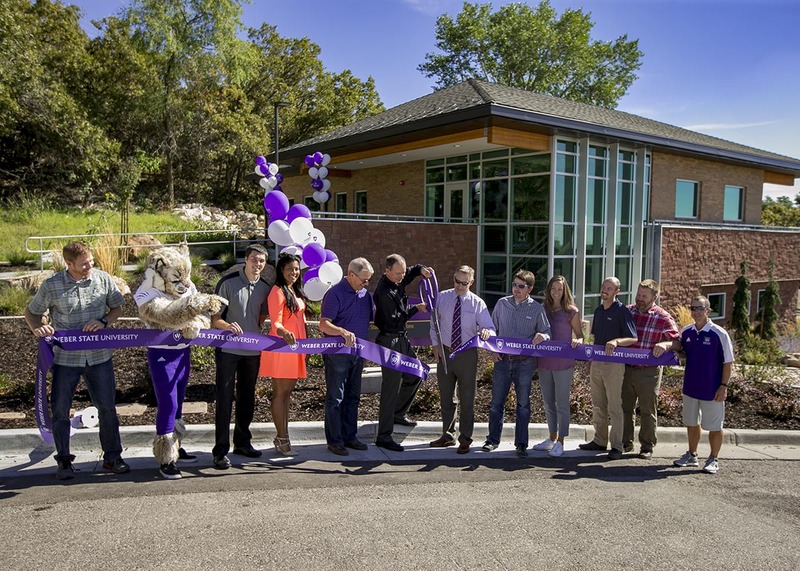 This well designed building has been used for the last few months by WSU athletes to support them and give them a place to study and work to be successful in the classroom as well as on the court, track and field. 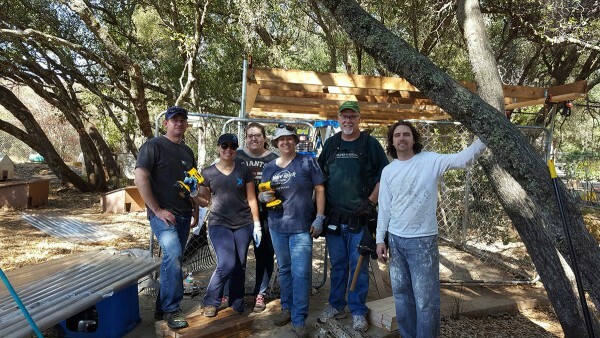 Arch Nexus’ Sacramento office personnel volunteered at the Fat Kitty City cat sanctuary, the largest cat sanctuary in Northern California, this month to build a shelter structure. 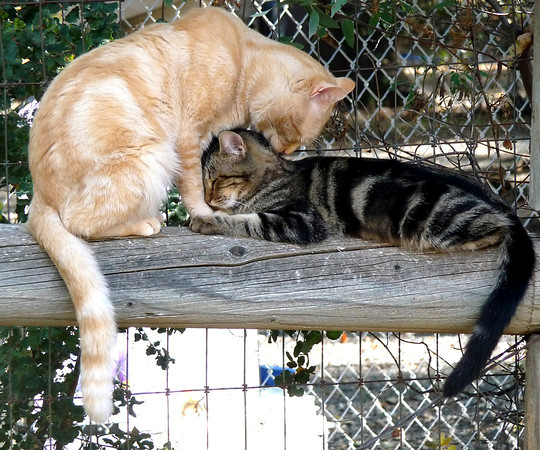 Fat Kitty City takes in cats from kill shelters, cats with special needs, feral cats, and cats in many other situations to socialize and protect them in their one-of-a-kind sanctuary. The structure sits above an acclimation area to where the cats are moved after they receive any needed veterinarian care. Here they become acclimated to the environment and other cats in the sanctuary before being released into the larger sanctuary. The shelter structure was designed by Fat Kitty City’s owner and contractor, who was unable to build it due to an accident. The sanctuary had a difficult time finding reliable volunteers to finish the shelters, and Arch Nexus was grateful for the opportunity to step in and provide some muscle and structural understanding, as well as the opportunity to play with some of the cats during downtime. To learn more about the Fat Kitty City, and opportunities for volunteering, please visit Fat Kitty City’s website. On Saturday, October 8th, project Sunnyvale was opened for the public. The project was awarded to Arch Nexus’ Ardi Tookaloo and Eli Zarehzadeh as well as their teammates Reihaneh Noori, Massih Nilforousham, Zahra Hassanipour and Mehran Rezcan in a Design Build competition hosted by Women in Architecture SLC to serve the needs of the community. 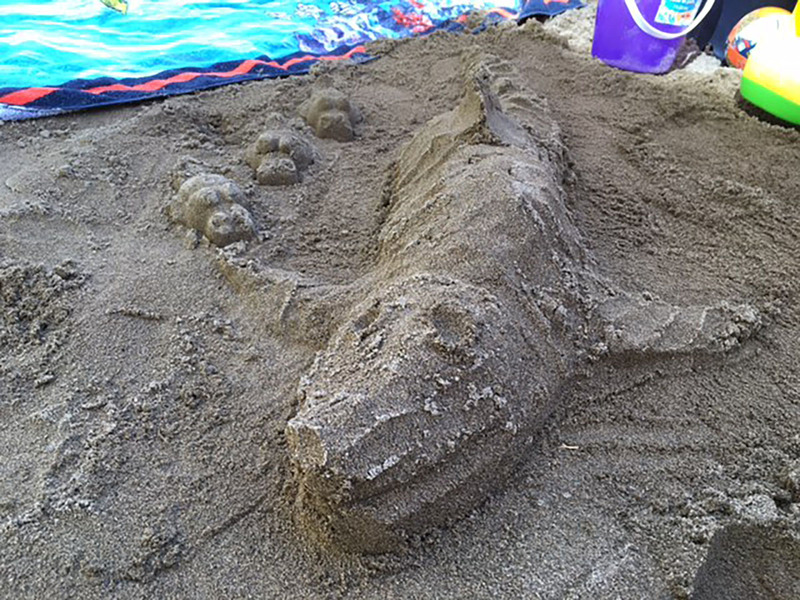 “It was interesting to see how much community kids loved the project and got engaged from the moment it was finished. I was more interesting to see how creative they were and how they used this installation. 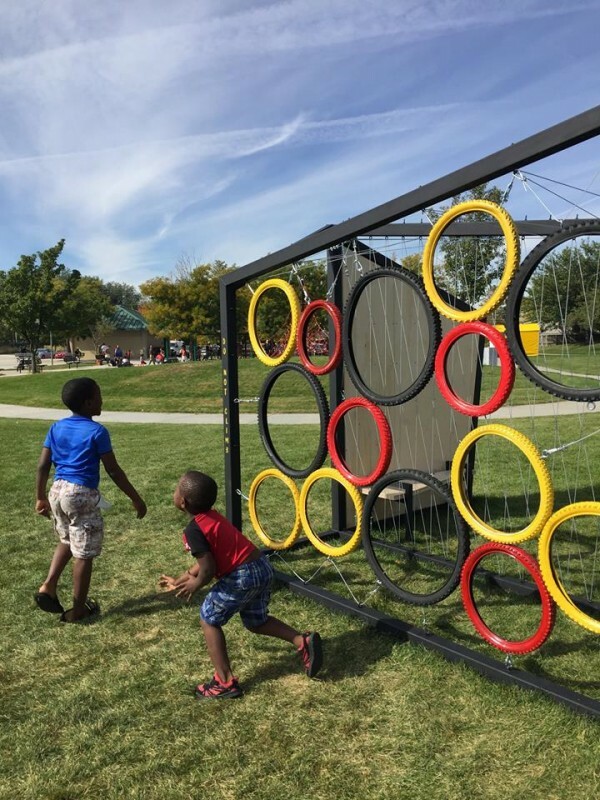 For instance, for our target shooting wall, they not only kicked soccer balls but later they started throwing a football through the tires to improve their passing skills.” Ardi stated. For more on Project Sunnyvale, please visit the WIA SLC post and our previous post. To learn more about Women in Architecture SLC and how they continue to serve the community, visit the WIA SLC website. 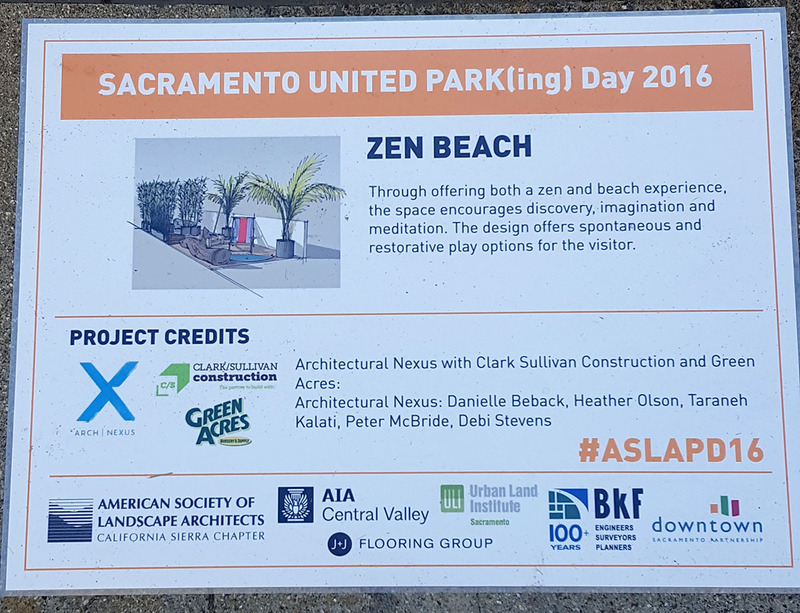 On September 16, Arch Nexus participated in the annual “Sacramento Park(ing) Day” event hosted by the American Society of Landscape Architects (ASLA), the theme of which was “play”. 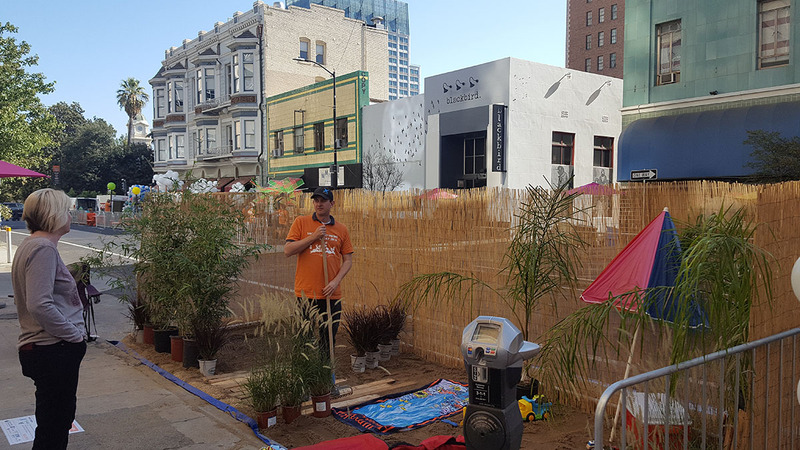 Participants in the Park(ing) Day event are challenged to create temporary miniature public parks out of metered parking spaces in the city, promoting dialogue about the use of urban public space while encouraging citizens to consider new ways to utilize public spaces to improve the quality of their environment. 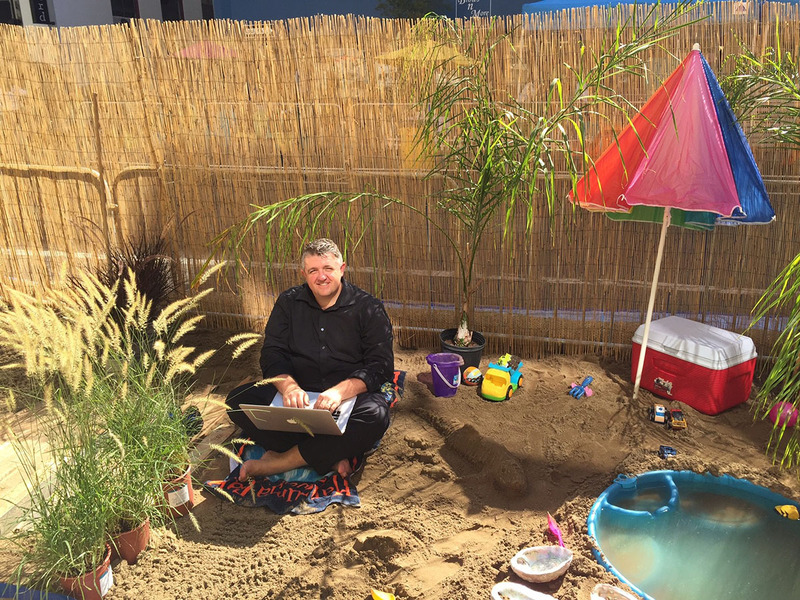 After brainstorming on the theme, Arch Nexus with Clark Sullivan Construction and Green Acres created Zen Beach – an area filled with sand, potted plants, toys, towels and sandcastle building materials for recreation as well as relaxation. The design was created to encourage discovery, imagination and meditation. Arch Nexus was excited to be the first stop in the sold out SRBX Brew Bike Event hosted by the Sacramento Regional Builders Exchange (SRBX). 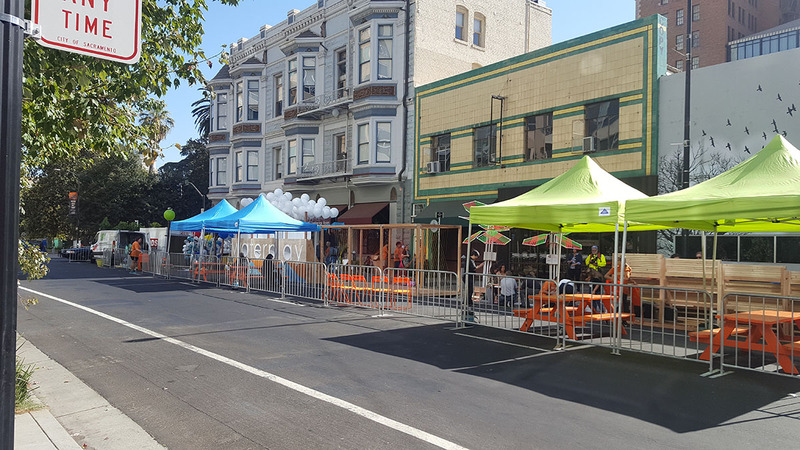 The bike-led architectural tour included projects that are activating the Historic ‘R’ Street Corridor, including Arch | Nexus SAC, MarketOne Builders, XL Construction and the Ice Blocks project. Discussions were led by a group of leaders who are instrumental in the development of the vibrant Sacramento region: Mike Heller of Heller Pacific, Inc., Randy Paragary of the Paragary Restaurant Group, and Todd Leon of the Capitol Area Development Authority. Participants were led on a tour through the Arch | Nexus SAC building site, which is striving for Living Building Challenge certification, aspects of which were presented to the group for analysis and discussion. 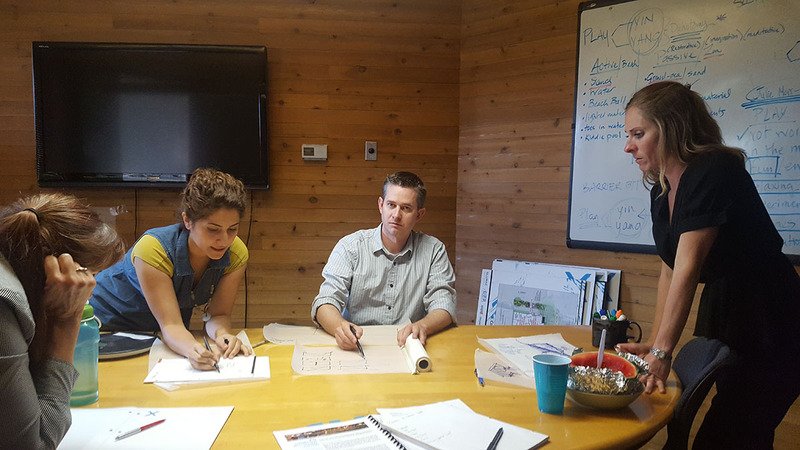 The Living Building Challenge can be used as a teaching tool for the region and its builders, helping builders in the area to conserve costs as well as the environment without sacrificing the safety or aesthetic of the building.